Whether you're at work, home, or just out and about in the city, we list the food trucks closest to you and do a little bit more! Everyone loves food trucks, but finding and keeping current on their location and offerings isn’t always easy. Goodfynd CEO and co-founder Kyle Miller learned this while working in DC, when his daily lunch break food truck quest often revealed that a favorite truck had relocated overnight, complicating his menu choice and often wasting valuable lunch break time. Once he realized that the truck he was craving had moved, he would have to add a sometimes lengthy walk to the already long wait in line to order and have the food prepared. By the time he got his food, his lunch was nearly over. He knew that he couldn’t be the only one with this problem. Miller’s first step in tackling the problem was asking the food truck owners themselves how he could make it easier for customers to find them. As a UX Designer by trade, he then designed a user-friendly platform to bridge this gap. He teamed up with fellow Virginia Tech alum, CTO, and co-founder Lemaire to build the concept. The team, also including fellow Hokie and Project Manager Daniel Lee, launched the Goodfynd platform in January 2018. Goodfynd enables food truck owners to quickly update their location, hours, and menu offerings on the fly. This in turn gives the customer beautiful visuals and saves them time locating their desired truck as well as other nearby trucks, and ultimately deciding what to purchase. Food truck patrons benefit from enhanced variety and efficiency in ordering, and food truck owners benefit from increased revenue from new customers and repeat purchases from loyal customers. We will add new features very soon, so be sure to follow this blog so you can keep up with the latest! Find your favorite food truck now! Author GoodfyndPosted on July 28, 2018 July 28, 2018 Leave a comment on Welcome to Goodfynd! There aren’t many foods more American than a good hot dog. Today is National Hot Dog Day, which means that you can find deals all over, including 7 Eleven, Sonic, or even Harris Teeter. There are several food trucks in the Washington, DC area known for their hot dogs as well, such as Swizzler, Federal City Bros, and Dogs on the Curb. To celebrate the occasion, here are five fun facts about hot dogs. 1. 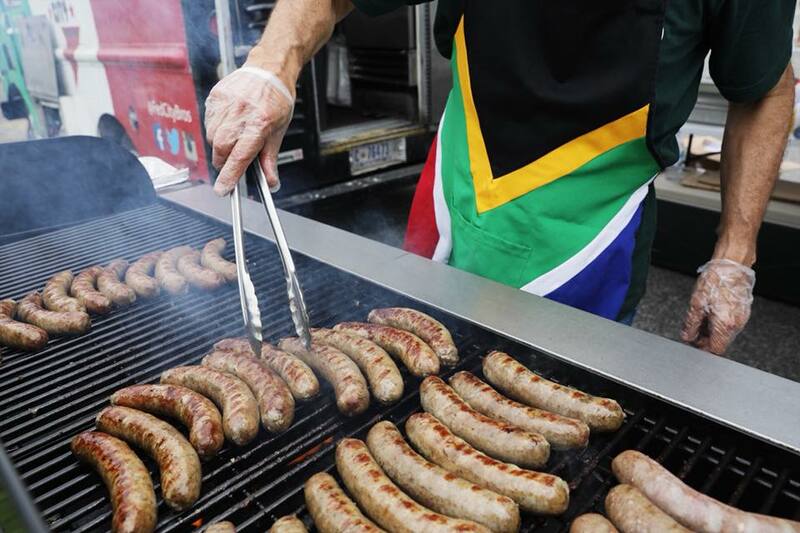 Hot dogs didn’t actually originate in the United States. Its close relatives, sausages, can be traced as far back as ancient Rome during the emperor Nero’s reign. The hot dog in its present form was likely first invented in Germany. Town officials in Frankfurt, Germany claim that they were invented in their city in 1484. The people of Vienna, however, claim it as their own invention. 2. The world record for hot dogs consumed is 74. During Nathan’s Famous annual hot dog eating contest, Joey Chestnut broke his own world record for the third consecutive time by eating 74 hot dogs in 10 minutes. On the women’s side, 98-pound Sonya Thomas broke the women’s world record by eating 45 hot dogs. 3. Americans really love hot dogs. The average American eats 50 hot dogs per year. On the 4th of July, Americans average 150 million hot dogs. Between Memorial Day and Labor Day, Americans are expected to eat a total of 7 billion hot dogs. The National Hot Dog & Sausage Council estimates that American purchase 9 billion hot dogs per year at retail stores. 4. Mustard, not ketchup, is the most popular hot dog topping. According to a 2014 online survey, 71 percent of Americans top their hot dogs with mustard compared to 52 percent who use ketchup. The National Hot Dog and Sausage Council (yes, that’s a thing), along with many hot dog connoisseurs, deem ketchup an unacceptable hot dog condiment, which likely affects these numbers among different age groups. 5. Hot dogs were taken to the moon. During the Apollo 7 mission in 1968, the astronauts didn’t take too well to the original diet of freeze-dried ice cream. The following year on the Apollo 11 mission, astronauts Neil Armstrong and “Buzz” Aldrin, found that hot dogs made for great space food. Did we miss any fun facts? Leave them in the comments section below. Pizza is a definite American favorite. As a matter of fact, it is ranked near the top of Thrillist’s 50 most American foods list. New York stands out for it’s flat style and Chicago for its deep dish, but what ultimately matters is how well it tastes. Mobile Cuisine is having a 2018 Pizza Food Truck of the Year Contest to determine the winner. The final contestants for this year’s contest are below. Basic Kneads Pizza has been serving the Denver area since 2010. They now have four mobile ovens and use locally-sourced organic ingredients. Brozinni Pizzeria is a New York style pizzeria. Though they operate in three different parts of the country, the food truck serves the greater Indianapolis area. Chicago Pizza Boss serves ever-changing wood-fired pizza options using high-quality Neapolitan dough. Their made-to-order creations are ready to serve in two minutes. DC Slices is hot, fresh, thin-crust pizza made for pizza lovers by pizza lovers. Also founded in 2010, DC Slices have four trucks that cover at least 20 locations throughout the week. Flirting With Fire offers mobile, wood-fired pizza that is fresh and ready in 90 seconds. Serving the Durham, NC area, Flirting With Fire will also create custom menus based on your specific event or needs. Gepetto’s Pizza Truck provides Fort Worth with a wide range of pizza options, from the Popeye (spinach, feta cheese, chicken, capers) to meat lovers to buffalo chicken. They also provide salad, vegan, and dessert options. Hobo Co Pizza Truck is based in Orange County and specializes in gourmet, made-to-order pizza. Parlo Pizza offers authentic, “old school” Neapolitan wood-fired pizza. They use family heirloom recipes to create fun and unique culinary experiences. Saucee Sicilian were rated one of the top 4 best pizza truck in the US from 2014-2017. They serve wood-fired pizza along with nonna’s famous sauce and balls. Although Wanna Pizza This is only one year old, the Gargano family has been in the restaurant and catering business for over 55 years. It is one of three family-owned Italian food trucks. The survey runs through 11:59 PM EST on Friday, July 27, 2018. You can vote by clicking here. The results will be announced on the following Monday. Each voter is allowed one vote per day. Find the locations of your favorite DC-based food trucks daily using Goodfynd! Owning a food truck is hard work! The competition can be stiff, so it is important for food truck owners to remain agile and adaptable. Sure, there are many different ways to increase revenue, but which are the most effective? Below are three methods you can use to increase your revenue. If you were a movie producer, would you want to limit the platforms where people could access your movie or would you want to make it as widely available as possible? On a similar note, you want to make your food truck as easily accessible as possible. This may include mobile pre-ordering and delivery options. Mobile pre-ordering makes the ordering process smoother for returning customers. Delivery options are more feasible when done through a third-party company. You will also want to increase visibility so that new customers know where to find you. While Twitter and Instagram are great, food truck finders such as Goodfynd are also great resources to take advantage of. Getting into events are a bit trickier, but the reward can be great. You will want to be aware of the expected attendance, as well as the fee in relation to your truck’s price points. 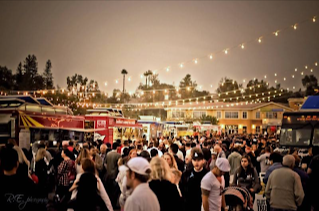 You will also need to make sure that the event is a good fit for your food truck’s menu options. For example, if your truck serves a specific type of cultural food, find cultural events that will allow your food to stand out. Either route is great in that they provide additional income and more exposure. With more exposure, you may acquire and retain more customers or be invited for more events. Imagine, for example, if you own a food truck that specializes in BBQ. You enter a BBQ contest and win! Not only will you likely be invited back to that event, but you will also have won an award that can significantly increase your brand awareness. 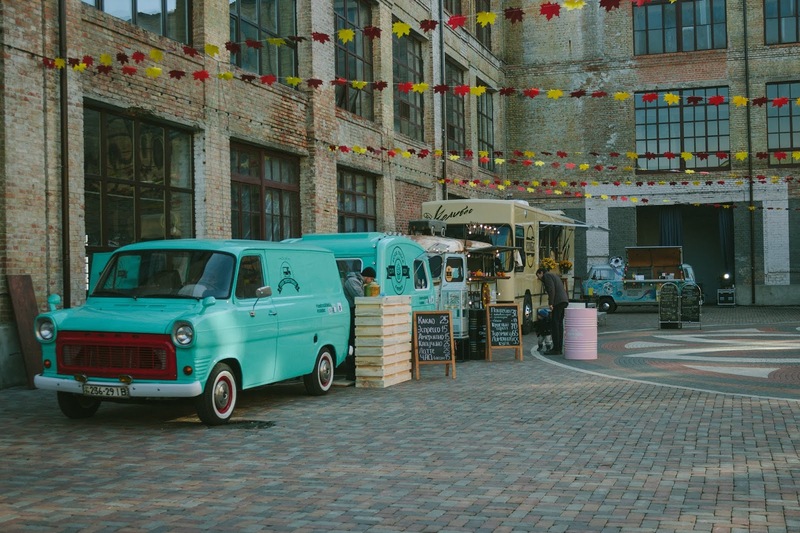 Some food trucks live by the mantra, “if it isn’t broke, don’t fix it” — and it works for them. Other trucks have seen much success by changing and adapting their menus. Consider rotating seasonal items on your menu and stay up-to-date with the latest food trends to always have an edge. Owners should also make their food truck as approachable as possible by fostering a friendly atmosphere. Some owners have added music or gimmicks, such as wearing festive attire that is in line with the theme of the food they serve. Others have added a “happy hour menu” with food at discounted prices during slower times. It is your business, so you have the power to choose how you want to operate it. Put yourself in the mindset of the consumer and think about what would attract you. Whatever you decide, be yourself and allow your creativity to shine through, and your food truck will stand out! It is officially summer, which means food truck season is in full swing! This is the time of year when outdoor events are abundant, and food trucks are often sought out by hungry patrons. Everyone loves food trucks, so here at Goodfynd, we’ve compiled a list of upcoming events where you can find food and fun in and around the Washington, DC area. We’ll be sure to update the list as more festivities come up! Voted the #3 best festival in the southeast, Truckeroo is a well-known family-friendly festival around the District that occurs monthly through October. Although the food trucks are the centerpiece, the event features live music, cold drinks and games as well. This family-friendly event includes great food, performances, and live music. There will be plenty of fun exhibitors to keep the kids entertained. Each price point affords you more tickets to sample local restaurants, chefs, and food trucks. You can avoid the ticket line by buying them in advance, but you can always buy more at the event. This backyard BBQ-meets-music fest-meets-field day covers all bases. The festival includes acts such as BIG K.R.I.T., Bun B, and Mr. Rogers, as well as an all-star lineup of food trucks. Activities include a flip cup tournament, trap yoga, “for the culture” games zone (spades, dominos, etc), and a VIP lounge for a premium price. This family-friendly event includes food trucks and a DJ as well. Be sure to get there early, as the fireworks will be sure to draw a crowd. 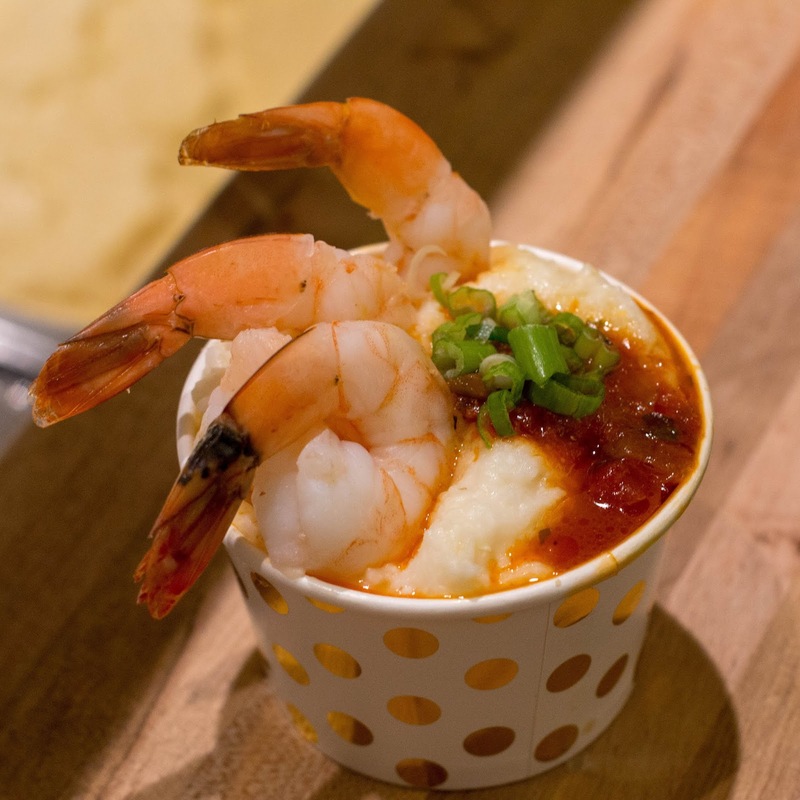 This festival boasts a wide arrange of cuisine, including Greek, Italian, Mediterranean, Caribbean, Creole, BBQ, soul food, seafood, pizza, and desserts. It will also include local artisans, vendors, and a kid’s zone which features activities such as moon bounces, arts and crafts, and face painting. Baltimore County’s largest food truck festival, Trifecta, will include over 35 sweet and savory food trucks. Still not sold? The festival also includes 40+ local artisans and vendors, live music, fashion trucks, and a pie eating contest. The kids have an array of options as well, including bounce houses, a mechanical bull, dunk tank, inflatable slides, arts & crafts tent, and the Oriole bird. This one is definitely for the pizza lovers. For the first time in the DC area, local restaurants, food trucks, and other licensed street vendors will come together to showcase their pizza from around the world. Other features include beer from local craft brewers, wine, live music, artisans and crafters, and a kid’s zone. Besides the obvious features, look out for interactive lawn games and food and merch vendors in an expansive outdoor area. The price of admission includes over 75 penny beer samples to choose from, but you can also purchase 12 ounce pours separately.